There are few experiences quite as freeing as driving your Volkswagen Atlas down the highway. But what happens when a dashboard light comes on and you don’t know what it means? We talked to drivers from Lee’s Summit, North Town, Overland Park, Mission, and Olathe to find out which dashboard lights cause the most confusion, and we’ve created a handy guide to answer your burning questions. Read on to get informed and learn everything you need to know about Volkswagen Atlas dashboard symbols. 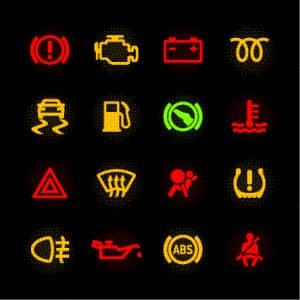 There are a lot of lights on your VW Atlas dashboard, and not all of them have the same level of urgency. Some are just reminders from your car about what services you’re using; others need immediate attention. Here are a few of the most common you might see on your VW Atlas dashboard. DRL (Daytime Running Lights): If you see the letters DRL pop up on your dashboard in green, that just means you are currently using your daytime running lights. Be sure to turn them off if you don’t actually need them. Fuel Cap Off: Notice an image of a car with a screw on the side? This is a reminder that you haven’t secured your fuel cap. Tightening it up will turn that light off in a flash. Hybrid System Error: A car with a giant exclamation point going through it in red is hard to miss, and with good reason. This indicates that something has gone wrong with the hybrid system, and you should contact Volkswagen immediately to deal with the issue. Low Brake Fluid: A big red exclamation point appearing on your dashboard could mean numerous things for your Volkswagen. In the best-case scenario, you’ve forgotten to take off the parking brake. However, it can also mean there’s an ABS malfunction or that your brake fluid is running low. If you’ve determined that your parking brake is turned off, but that light stays on, it might be time to schedule a service check. Shift Alert: A green shoe-shaped light isn’t commenting on your fashion choices—it’s just your car’s way of reminding you to press on the brake before changing gears. Engine Temperature: An engine that’s too hot is not going to make for a smoothly running vehicle. 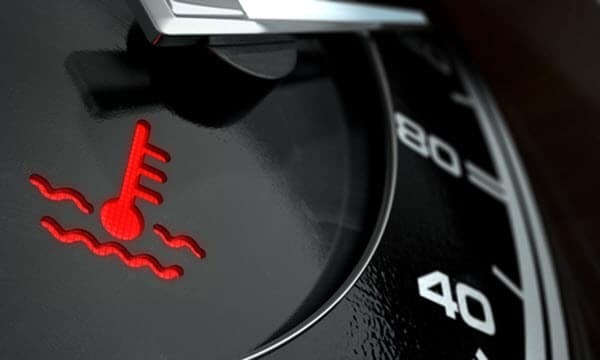 If a thermometer pops up on your Volkswagen Atlas dashboard, it’s telling you that the engine is overheating and you need to deal with it sooner rather than later. If you can, pull over and turn off the vehicle to let the engine cool down for a bit. Oftentimes your car just needs a breather before you’re good to get back on the road. But if that little light refuses to turn off after you’ve given your vehicle a decent break, it’s probably best to schedule a service appointment. Remember, if any of these lights come on, don’t panic. Instead, contact our service center at Volkswagen Lee’s Summit and schedule an appointment. We help customers from Olathe, Mission, Overland Park, North Town, Lee’s Summit, and beyond to keep their cars in top condition. Call us today, and we’ll get you back on the road in no time!